The rehabilitated East Demerara Water Conservancy (EDWC) project, phase two was today, handed over to the National Drainage and Irrigation Authority (NDIA) at Flagstaff, East Coast, Demerara. The two-phased project was aimed at procuring equipment and rehabilitating facilities for the improvement of the flood-control capacity of the EDWC. Phase one of the project saw the acquisition of equipment critical to the maintenance of the conservancy. Among the items acquired were excavators, aluminum boats and engines, 4 x 4 trucks, GPS devices and laptops. Phase two which was funded by the Japanese government through the Japanese International Cooperation Agency (JICA) and executed by the Ministry of Agriculture in collaboration with NDIA was scheduled for completion by March 2016. 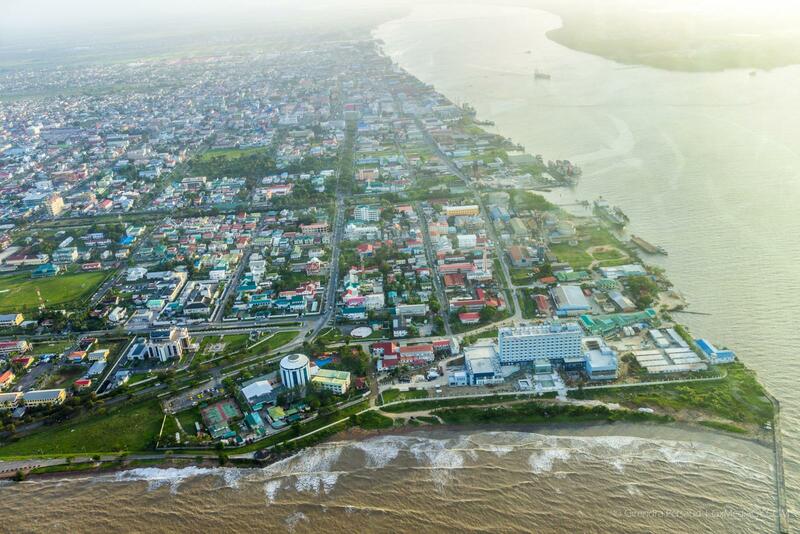 The rehabilitation of the conservancy (phase two) has an estimated cost of G$ 771 Million, with the Government of Japan contributing G$755 Million and the Government of Guyana’s contribution of G$ 16 Million in kind. The project included construction works at the Shanks and Hope intakes and rehabilitation work at Hope intake, and Sara Johanna and Maduni sluices, and the Nancy and Annandale intakes. The Minister further explained that “Rehabilitation of the East Demerara Water Conservancy- Component II” has realised construction and rehabilitation of six of the network’s 33 intake/relief structures to protect the EDWC Dam from overtopping and collapse during rainy seasons. The Minister also gave the assurance that,“… we are actively working to provide the necessary investments in infrastructure to raise your quality of life through proper drainage and irrigation.” He was referring to residents of Region Four. 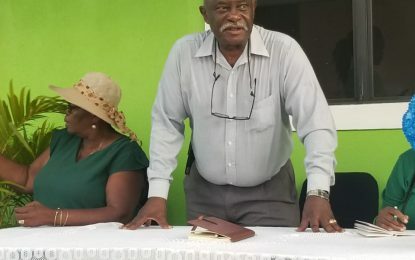 The Ministry of Agriculture, through the NDIA, will implement aggressive plans for upgrading and rehabilitating drainage and irrigation infrastructure in all regions of Guyana to ensure optimum capacity in the drainage and irrigation system, the Minister further promised. Acknowledging the contributions of the Japanese, Minister Holder expressed government’s profound gratitude to the Government of Japan for the provision of financial support so that the project could have been accomplished. After being taken on his second tour to the project site by boat, the Japanese Ambassador expressed satisfaction and said that his government stands ready to help the people and government of Guyana in the execution of suitable projects to aid in the country’s development. Chief Executive Officer of the NDIA, Fredericks Flatts said that the rehabilitation of the EDWC was initiated after the major floods of 2005 and the completed works will see relief being brought to farmers and residents of areas contiguous to the conservancy since the facility is now able to hold a larger quantity of water, which will prevent overtopping and flooding of residential and farm areas. Additionally, 20 engineers were trained in Dam Management, Flood Control and Repairs recently.